Wearing the America Gi boy was it heavy. Especially during the sweatfest classes where for 90 minutes my Sensei relentlessly drilled us up and down the hall with the heating turned all the way up. My training was hard, but the Gi was hardier. For years I rolled my pant legs and sleeves up (a bit of a no-no) but never did the Gi wear out along the folds or show any sign of fraying on the collar. The only injury my Gi suffered was the usual side tie being pulled away from an energetic throw being applied. Still I continued to use the same Gi, every session for 6 years. When I was in Australia and was being put into the competition circuit by my Sensei I went ahead and ordered two more Gi to replace my previous one. Australia was notably hotter and having two would mean I could train everyday whilst avoiding the inevitable stink that comes from not washing your Gi from the previous class. Subsequent travel from Australia to Scotland, then to Okinawa, to Australia, Indonesia and back to Scotland again meant I had to give up a Gi here and there to reduce my travel weight; as I very much needed everyday clothes to wear when I wasn’t training. Now recently I have moved up to one of Kamikaze’s best products, the Monarch, which is just amazing to train in. Bear in mind it is their heaviest Gi so if your not a fan of weight then consider other options. I will say however that it doesn’t drag you down during training or stick to you or feel excessively wet with sweat. The cotton is soft and flexible but with a great snap when executing good technique. As for sizing, I am 175cm and not overly muscular but by no means skinny either and the 5 ½ (185) size fits me perfectly. The jacket comes down to just above mid thigh and ties round my waist with a little space left so it doesn’t chaif when I’m twisting around the Dojo. It may be perhaps too roomy for some as other Gi I own and have worn would fit a bit closer to the body. Personally I think it helps the skin to breath and cool down. Of course everyone has their preference and there is no such thing as the average size - every adult is a mixture of big and small in various parts of the body so it’s important to find what works for you, even if that means wearing different brands for different parts. What is really important is that the Gi lasts the hard work you put in and still feels great after many years. Even a small post on Facebook had a few people mentioning how long lasting their Kamikaze Gi are. 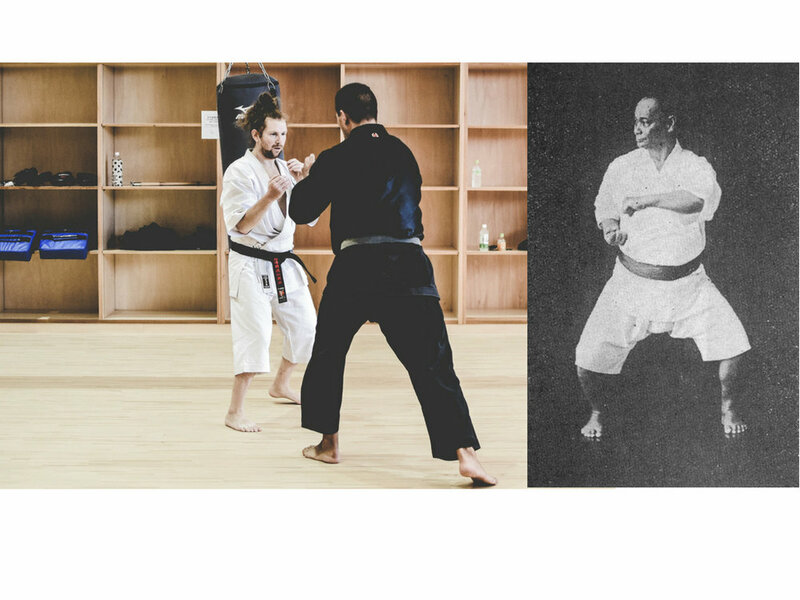 Putting on a Gi is not essential to training but it can add to the ritual of preparing your mind beforehand which many sports scientists agree has a very positive effect on training outcomes. When it comes to Gi it’s nice to feel you have a sidekick who has been there through the ups and down, sometimes showing the battlescars with a few holes, tears or blood stains, but without looking like you’ve fallen through a barbed wire fence. I look forward to the many years in training together as much as we both can last. P.S. I approached Kamikaze asking for a Discount to help promote their Gi seeing as I was buying one. Never hurts to ask as I would have promoted it regardless. They have also offered me some compensation if anyone should decide to buy via the links provided. I want to be honest with you, even if it doesn't change how I feel about the Gi.